We propose you our recent cottage in ground garden, surface 50 m ², with a capacity of five people. This cottage is located at 1100 M altitude in the heart of the mountain in Cholonge, 8 km from Vizille, 8 km from La Mûre in Isère and 25 km from the center of Grenoble. This cottage includes for the outside: Two private parking spaces. A garden closed and privative, sported with terrace, living room of garden, deckchairs, parasol and barbecue. For the interior: Two bedrooms, one with two single beds, the second one with a double bed. Storage, wardrobe, bedside table. Living room with sofa, armchair, coffee table, TV, games. Fitted kitchen, with electric hob. We rent our new cottage ground garden located in Isère in Cholonge 25 km from Grenoble. This cottage is located in full nature, near the lakes where there is possibility of swimming baths and pedal boats. Numerous pedestrian excursions possible from the foot of the lodging. Paintball, equestrian center and tree climbing near the cottage. Ideal for those seeking rest and nature lovers. This lodging includes / understands for the outside: a place of parking privatizes a path that leads to a closed garden sported and privative with terrace and loggia. Barbecue, garden furniture and deckchairs. Inside the Gite: two bedrooms, one with a double bed. We propose our recent lodging in ground garden, surface 50 m², with a capacity of five people. This cottage is located at 1100 m altitude in the heart of the mountain Cholonge, 8 km of Vizille, 8 km from La Mure Isere and 25 km from the center of Grenoble. This cottage includes for outside: two private parking spaces, a garden closes and privative, raised with terrace, garden furniture, chairs, umbrella and barbecue. For the interior: two bedrooms, one with two single beds, the second with a double bed. Cupboards, wardrobe and bedside table. A living room with sofa, armchair and coffee table. TV and board games. kitchen with hob and fridge. We propose you our recent lodging in ground garden, of a surface of 50 m ², with a capacity of 5 people. This cottage is located at 1100m altitude, in the heart of the mountain in Cholonge, 8 km from Vizille, 8 km from La Mure in Isere and 25 km from the center of Grenoble. This cottage includes for outside: two private parking spaces. A closed and privative garden, sported with terrace, living room of garden, deckchairs, parasol and barbecue. For the interior: two bedrooms, one with two single beds, the second with a double bed. Storage, wardrobe, bedside table. A living room with sofa, armchair, coffee table, TV, board games. Fitted kitchen, with electric hob, fridge. | We propose you our recent lodging in ground garden, of 50 m ², with a capacity of 5 people. This cottage is located at 1100 m altitude, in the heart of the mountain. This cottage includes outside: two private parking spaces. A closed and privative garden, sported with terrace, living room of garden, deckchairs, parasol and barbecue. For the interior: two bedrooms, one with two single beds, the second with a double bed, storage, wardrobe, night table. A living room with sofa, armchair, coffee table, TV. Fitted kitchen, with electric hob, fridge, freezer, dishwasher. Bathroom with toilet, washing machine, etc. For rent: A separate bedroom 30 m2 with a large bathroom, a refrigerator and a television, breakfast is extra. The room is located in the village of Vaulnaveys-le-Haut, 3 km from Uriage-les-Bains. A Vaulnaverys, you can find a grocery store, a bakery, a pharmacy, newsagent and three bar-restaurants. A Uriage, you can find many shops and restaurants, tennis courts, a golf course and riding stables. We are 20 km from Chamrousse walkable winter sports. Many walks from the village. A Vizille, 6 kilometers from Vaulnaveys, there is the Castle, with its Museum of the French Revolution and its beautiful park. Studio refait a neuf pour 2 adultes et 2 enfants. Tout équipé. 100m des pistes du centre station et des commerces. Proximité de l'ESF. Navette gratuite devant l'immeuble. 350 vacances de Noel. 450 vacances de février. Hors vacances 300 la semaine. Pour we et longues periodes nous consulter. F2 + Kitchen In Uriage / Chamrousse. Rental for spas or skiing .In villa with 2,300 m2 land rents independent 38 m2 apartment on the ground floor living room with TV and sofa bed 2 pl terrace overlooking unobstructed view of the mountains, separate equipped kitchen plate 4 fires , dishwasher, washing machine, fridge, microwave, large bathroom with bath, bedroom with bed 140. Parking 1 space included. The thermal baths and golf Uriage are 5 minutes, cross country skiing at the Arselle 15 minutes and downhill skiing at Chamrousse 20 minutes by car. The castle and the museum of Vizille 15 mn.Grenoble 20 minutes. Independent studio in a quiet residence in the very center of Uriage, close to the park. Parking very easy with place and private parking. Near spa resort, casino, shopping alley, bar, bakery, tobacco, restaurants, ski resort, Grenoble, park..Bright, fully renovated, very nice. Very good thermal and acoustic comfort. Very functional and fully equipped. Sofa Bed 2 very comfortable seats, separate bathroom with shower and toilet, kitchen with halogen hob, oven, microwave, fridge, freezer, cooking utensils, washing machine, TV, large storage closet.. Independent studio in a quiet residence in the hyper center of Uriage 2 steps from the Park, Casino and Thermal Cure. All comfort on the spot: flat screen, washing machine, oven, hob, fridge and very good bedding. Very easy parking with place and private parking. At less than 100 m: shopping avenue, bar, bakery, tobacconist, restaurants. Market every Monday mornings. Residential area very calm, peaceful has two steps of the park and the trade. Ideal for your thermal cure. Chambre toute meublée dans maison calme. Grande maison avec terrasse et terrain. Je suis seul et suis très souvent en déplacement. Couple acceptés. Cuisine bien équipé à disposition, ainsi que salon. Contacter moi par message pour plus de photo et renseignements. Between the mountains of the Ecrins, Dévoluy and Vercors stretches a mountainous territory composed of Matheysine tray and Valmontheys 6 lakes where you will discover the joys of sailing or swimming. In the plateau lakes are added those of the Drac (The Sautet, St. Peter Monteynard and Notre Dame) where you can practice sports such as windsurfing, swimming, and whitewater waters in the waters Drac or the Good, two beautiful mountain streams bordering the plateau. Hiking, walking, riding or mountain biking in the Valmontheys can be easily practiced in winter ride snowshoeing, sledding, skiing. Free shuttle. Well situated in a very quiet and closed cottage site; safety for children. Large apartment in a chalet to spend a pleasant stay with family or friends, without being cramped. In the village, simple, but well equipped. 8 km from the first lifts and 12 from the heart of the resort of Alpe d'Huez. Bus shuttles go up to the station. In the heart of the Ecrins National Park on the G.R. 54 route. Set of two studios with stunning views and 2 steps from the station to rent separately or together, each with toilet and separate bathroom, independent alcove with 2 bunk beds, fully equipped kitchenette with dishwasher, raclette, fondue , electric barbecue, blankets, living room with a pull-out double bed sleeps 2. Total: sleeping 4 adults (or 8 if both together) people. Closed locker key ski. Guardians in the residence. Fully equipped (dishwasher, TV, oven, refrigerator, stove, etc.). Balcony, sunshine and stunning views of the valley and Belledonne Grenoble. I offer a furnished apartment for a vacation in the mountains, located in the town of Venosc (Les Deux Alpes, Isère), a small village of Oisans, located near the Deux Alpes resort (8 minutes by cable car) . You can stay in this charming village and reach the ski slopes. 8 people can stay: 5 rooms in all. For more information, please contact the owner by phone. Two other apartments of 70 and 95 m2 are available in the same village. Apartment located 50 m from the slopes and shops. Balcony located South. A room offering 2 beds. A corner mountain (2 bunk beds). A pull-out sofa bed with 2 beds. Fully equipped kitchen area. Dishes, microwaves, electric plates, fridge and oven. Ski locker. Weekly rental. Bed & Breakfast in an old stone farmhouse tastefully renovated in a nice mountain village, close to the Vercors and the Parc des Ecrins. Many opportunities for hiking. Lake with water sports 5 km, 30 minutes from the ski resort of Chamrousse. Possibility of meals in the village inn. Possibility of accommodating children in an adjacent room. Full downtown, close bus trade, facing castle park for running and ski resort around. In the apartment, bathroom, toilet, kitchen in common. Super spacious apartment, 4 bedrooms, 1 living room kitchen, 1 bathroom, 2 toilets, garage. Welcoming apartment for cyclists and their bicycles, ideally located in the center of Bourg d'Oisans. This apartment offers a living area of ​​110 m² for 6 to 8 people. Spread over 3 floors with terrace to the south, entrance hall on the ground floor, perfect for bikes or other outdoor equipment. Garage for 1 car. The city center is a few meters walk with its bars and restaurants, butchers, bakeries, supermarkets, bike shops and excellent weekly market. Flexible dates, photos available by email. Desideri trovare una locazione a Lavaldens ? Lavaldens è un'affascinante città situata in Francia. Con Roomlala, gli abitanti Lavaldens sono felici di accoglierti, poco importa la ragione della tua locazione (turismo, viaggio, lavoro, stage, studi, ecc.). Il sito è a tua disposizione per aiutarti a trovare una locazione arredata a Lavaldens o una camera presso l'abitante a Lavaldens. Quale é la differenza? Affittando una camera presso l'abitante, affitti principalmente una staza, nell'alloggio di un abitante di Lavaldens. Trovare una locazione arredata a Lavaldens equivale ad affittare un monolocale, un appartamento o una casa in cui il proprietario non vive. In entrambi i casi, le locazioni offrono servizi obbligatori. Grazie a Roomlala, puoi trovare un coinquilino o dei coinquilini a Lavaldens. Se hai già trovato un alloggio (casa, appartamento), puoi semplicemente publicare un annuncio gratuito per cercare i tuoi futuri coinquilini. Se non hai ancora un alloggio o dei coinquilini, puoi trovare una coabitazione a Lavaldens, nel quartiere che più Lavaldens ti piace, per brevi o lunghi periodi (camera in affitto al mese, all'anno). 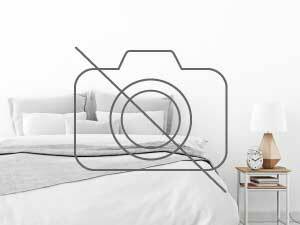 Per i brevi soggiorni, la nostra piattaforma vi permette ugualmente di cercare una camera presso l'abitante a Lavaldens o un Bed and Breakfast (camera a notte) a Lavaldens, in prossimità di luoghi turistici di Lavaldens. In occasione di un alloggio per le vacanze a Lavaldens, puoi visitare i luoghi caratteristici e passeggiare per la città. Un'altra possibilità: cerchi un alloggio in cambio di servizi a Lavaldens ? Roomlala ti propone annunci di locazioni in cambio di servizi come babysitter, aiutare le persone anziane, sostegno scolastico, assistenza a domicilio, alloggio intergenerazionale, aiuto studenti, portiere, soggiorno au pair, ecc.